CREATE is a programme of research with distinct stages and activities. Four Country Analytic Reviews (CARs) published and launched at national conferences. A series of cross national and thematic reviews of access issues published in the Pathways to Access (PTA) series of research monograph. An extensive annotated bibliography has been developed and made available on the CREATE website. Framework research plans for community and school based studies and the development and piloting of a suite of ten research instruments along with a portfolio of advisory memos for use by fieldwork teams and data analysts. Attainments tests of children in basic numeracy and literacy linked to tracked children. These studies varied between countries, but each worked on a common set of research questions, similar research tools and used CREATE’s zones of exclusion to organise data collection and analysis. Patterns and processes of exclusion were analysed for those children enrolled and at risk of exclusion and those already excluded. Insights were developed into the processes through which exclusion occurs, and many of the determinants of exclusion were identified. In Ghana CREATE research was located in Savelugu-Nanton in the Northern Region and the Mfantseman district in the Central Region. Data was collected from schools and households in six communities and eight basic schools from four circuits in Savelugu-Nanton and from six communities and eight basic schools in Mfantseman. The Northern Region is the 3rd poorest region and the Central Region the 4th poorest region in Ghana. In India ComSS research has taken place in the Rajnandgaon district of Chattishgarh and the Rewa and Dindori districts of Madhya Pradesh. 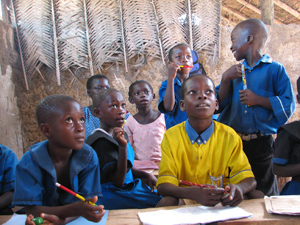 The research covers 90 schools and 6,431 households from 36 villages. 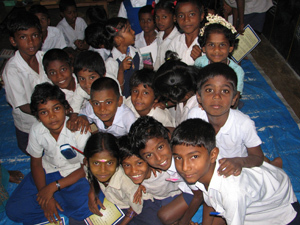 The research sites were chosen because they were also used in another study on educational access in 1990 by the NUEPA Partner Institute Coordinator, R. Govinda, allowing for comparisons to be made. In South Africa CREATE research was undertaken in two sites, Ekurhuleni District in Gauteng and Amathole district in the Eastern Cape. Eight research sites (schools) were selected in Gauteng and six in the Eastern Cape. 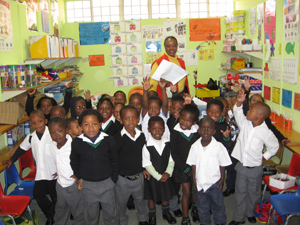 Additional research in Eastern Cape was carried out on fee free schools. The focus of CREATE research in South Africa is on meaningful and equitable access. 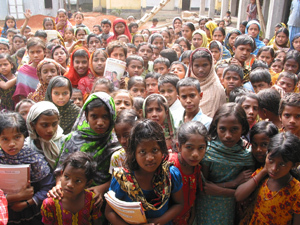 In Bangladesh ComSS research has been carried out in six rural areas, one in each division of Bangladesh. Across these six areas, surveys were administered to 36 schools, and to 6,695 households containing 9,047 children aged 4-15. Further separate surveys were administered to drop out and never-enrolled children; a child tracking survey aimed to act as a bridge between the child data from the household survey and information about schools gathered in the school survey. Literacy tests were administered to parents of ongoing, never-enrolled and drop-out children and to drop-out children themselves. There has been two rounds of data collection. These analysed large scale data sets to explore over 20 years how access has been changing in relation to wealth, gender, location and other indicators of marginalisation. Links to policy initiatives were located and interrogated to gain insight into the impact of Education for All strategies. These case studies at country level were developed to explore with high level decision makers how policy and practice had evolved and what factors had shaped the political economy of access to education. Thematic Studies using both primary and secondary data were developed for publication in the Pathways to Access research monograph series. Media projection of CREATE messages through tv, radio, newspapers, and the internet.